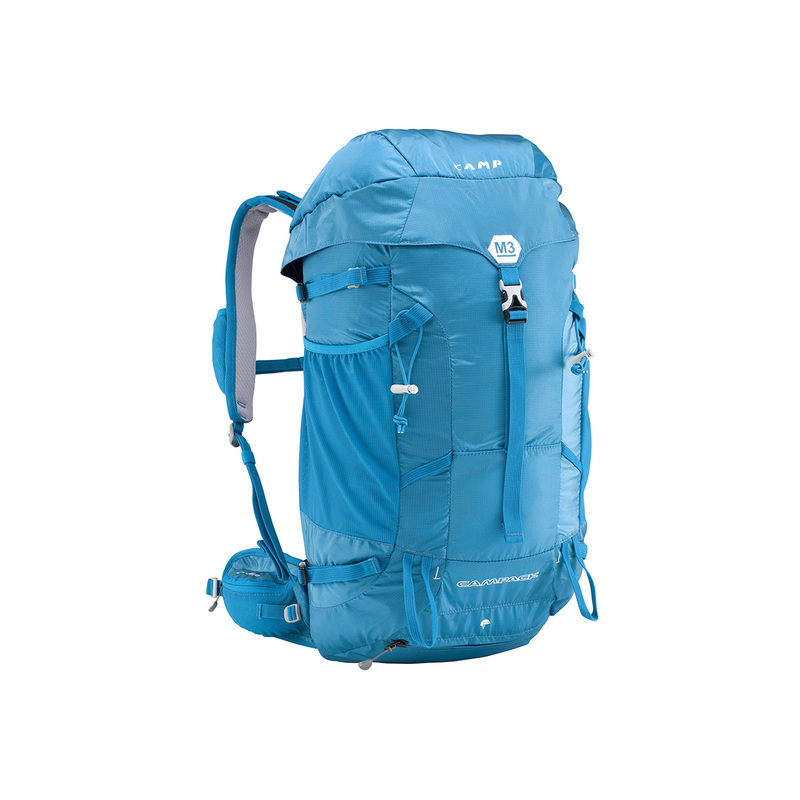 With Back Door access, comfortable padding and ventilation through the back and shoulders, and just the right amount of features to make it uber-functional, Camp's M3 pack is perfect for days spent in the backcountry, whether you’re ski touring, mountaineering or both. The 30 litre capacity takes care of all your storage needs, while the Back Door opening means you can get to your stuff quickly and efficiently, without messing up the order of the pack. Externally, extra storage options accommodate for ice axes, water bottles, skis and ropes, including a clever hideaway helmet attachment system, while the steel wire frame stays will help support all that gear! Camp specially developed their EZ OP buckles so that they can be easily undone with just one hand. A pull-tab connected to a wire means you can operate it easily, even with gloves on, which is perfect for tricky situations where every second counts. Camp’s exclusive Back Door access system means that the pack opens around the back panel, so it can be lifted up to display the contents inside. This gives you easy access to your gear without having to rummage through the bag to find something at the bottom, and means you can be super-organised with your packing skills. Camp’s own fabric, Robic 100 is super-lightweight without compromising on weather resistance and durability. A waterproof coating and a micro-ripstop weave mean that your gear will be protected from the elements and your pack won’t be easily damaged from regular contact with rock and ice.